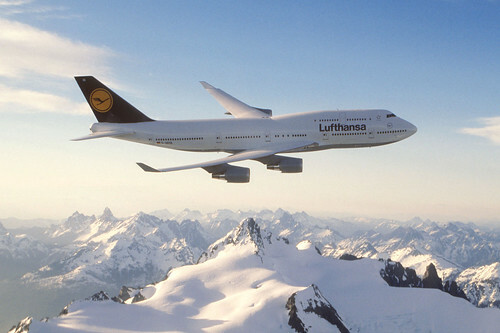 Lufthansa to offer passengers satellite connection to wireless broadband internet in 2010, in partnership with Panasonic Avionics, using antenna systems built by Israeli company Starling Advanced Communications. House committee approves satellite reauthorization bill, granting satellite operators a compulsory license to carry distant TV network station signals – Dish network is allowed back into the distant network signal business in exchange for reaching all 210 markets. Eutelsat announces extencion of multi-year agreement with Poland’s Cyfrowy Polsat, with the pay-TV operator taking three transponders on HOT BIRD. BAE Systems equipment governs command and control functions and provides electric power aboard DigitalGlobe’s WorldView-2 satellite. Numerex Corp joins QinetiQ North America team that has been awarded multi-year contract from the Federal Emergency Management Agency for full program management of FEMA’s Total Asset Visibility assed tracking program. Globe Wireless signs distribution agreement to sell Addvalue FleetBroadband equipment to its maritime customers, offering turnkey solution with installation, service, and repair in addition to airtime and applications. Harris showcases latest digital technology solutions at HD World 2009 including upgraded Harris NewsForce HD/SD production platform featuring proxy file support and integration. Globecomm Systems announces U.S. Army has exercised $2.3m contract option for continued production of the Joint IP Modem. Canada’s Olympic Broadcast Media Consortium selects Harris Corporation to deliver end-to-end HD broadcast solution during coverage of 2010 Olympic Winter Games in Vancouver. Telesat’s Nimiq 5 satellite is placed into commercial service on October 10, fully leased to EchoStar for the life of the satellite. World’s fastest satellite internet connection, up to 155 Mbps with 1.2m antenna, is studied by Nanyan Technological University team working with Japan Aerospace eXploration Agency and National Institute of Information and Communications Technology, looking for solutions to improve satellite links during heavy rainfall. Atlas V is scheduled to launch the Air Force’s Defense Meteorological Satellite Program F18 satellite from Vandenberg on October 18 – the 600th launch of an Atlas vehicle. Globecomm Systems will introduce a new portable TomCatTM X-band satellite terminal at SATCON. Boeing ships third Wideband Global SATCOM satellite to Cape Canaveral for November launch for the Air Force. Intelsat signs multi-year contract with Altitude Sports & Entertainment to distribute its regional sports programming across the U.S. in HD and SD on Galaxy 17. TeleCuba will build a U.S.-Cuba cable after U.S. government announced in April that it would allow service providers to build out optical cable and satellite facilities linking the U.S. and Cuba. Orbit Technologies announces record orders for its satellite communications products – in excess of $5m for its marine VSAT systems in the second quarter. NASA to retire TDRS-1 tracking and data relay satellite on October 28 after 26-year stellar performance following a rocky start. ATCi low cost GSM satellite backhaul services offered throughout Asia. Iridium and H2OSatellite provide critical satellite communications for Beluga Shipping’s successful pioneering transit of the Northeast Passage. Expand Networks demonstrates advancements in satellite link optimization for WANs at SatCon 2009. Comtech wins $1.8M high-power amplifier orders for satellite terminals to provide satellite connectivity for soldiers. 50,000 GlobalWave customers are successfully migrated to Inmarsat’s latest satellites by SkyWave. RapidEye delivers 2009 Canadian growing season images of agricultural areas to GeoFarm Solutions, in conjunction with the Agri-Trend Network. Enterprise Satellite Solutions of California enters distribution agreement with U.K.-base Applied Satellite Technology, allowing Enterprise to expand its sales and distribution with providers such as Inmarsat, Thuraya, and Iridium. Saudi Arabian Airlines will install full SwiftBroadband Mobile OnAir and WiFi Internet OnAir inflight passenger communications services on their fleet of Airbus A330 planes flying international routes. Comtech subsidiary Comtech AeroAstro is awarded Air Force Research Laboratory contract for development of Advanced Plug and Play Technologies for space missions. Viasat signs IPTV distribution deal with the largest IPTV service provider in Estonia, Elion. Hungary’s public broadcaster Magyar Televizio selects Eutelsat’s EUROBIRD 9A satellite for broadcasting across Europe. As European video market becomes more complex, new opportunities emerge for satellite operators to sell Ku-band capacity. This entry was posted on Friday, October 16th, 2009 at 12:35 pm	and is filed under Astronomy, NASA. You can follow any responses to this entry through the RSS 2.0 feed. You can leave a response, or trackback from your own site.